Environmental pollution, climate change, the increasing number and intensity of various extreme meteorological and hydrological events have their significant effects on socio-economic activities and the natural systems. Such a tendency could be detected during the past decades, especially for air pollution episodes with high concentrations and depositions, droughts, floods, heavy rainfalls and heat waves. Sustainable development is one of the key issues of the next decades, including a broad horizon of human activities: e.g. energy production, transport, industrial activity, agriculture, water management, human and animal health care. 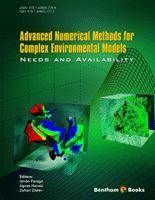 Complex environmental modeling, involving experts from the fields of mathematics, physics, chemistry and environmental sciences is needed to analyse, and, as far as possible to predict the sophisticated processes behind this issue. Once the area of environmental problems is targetted, appropriate advanced numerical methods and models are to be developed and tested in order to handle the physical, chemical, biological and even economical processes governing the complex environmental changes. 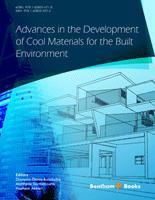 A number of highly acknowledged scientists contributed to the content of this eeBook. It covers the treatment of some classes of PDEs and ODEs, the implementation of splitting procedures, parallel and grid computations, as well as handling of some classes of inverse problems. One of the most exciting and challenging environmental problems is discussed in Chapter 5: how the climate change influences the level of environmental pollution. The scope of the model classes presented in this eBook is rather broad: it goes from large-scale air pollution model estimations down to street-scale air quality simulations. Regional climate model PRECIS presented here is applying boundary conditions computed by global scale GCMs. It is now obvious that disciplines of the Earth Sciences can not be treated separately: this eBook shows an example how the representatives of different branches of natural sciences are able to cooperate in addressing and simulating complex environmental issues, expanding our knowledge and providing theoretical and practical support to the readers interested in this field. Clean air is one of the Earth's natural resources vital to the survival and development of the human population. However, it is often threatened by the impacts of industrial activities, agricultural production, increasing human mobility using fossil fuels, as well as some natural phenomena (e.g. volcanic eruptions). The prospects of a growing world population, a changing climate and further urbanization will even put more pressure on clean air as a critical resource in the future. Although sources of air pollution may be local, many of the physical and chemical processes influencing air quality take place at a much larger scale. Acidification, ozone formation, transport of particulate matter and radiation effects of nuclear disasters (e.g. Fukushima) may take place over distances of hundreds or even thousands of kilometres and a time scale of several days. Computer models are needed to understand these processes and provide insights and predictions that may help to evaluate the actual air quality situation or build policies that scientifically underpin sustainable solutions to improve the air quality. The current state-of-the-art large scale air quality models are complex in the sense that need to mathematically couple various processes, such as transport, chemistry, turbulent diffusion, aerosol formation, deposition, etc. All these processes have their own limitations with respect to the time scales they physically consider. This makes an accurate representation of the interactions between these processes a very demanding task, both in terms of scientific understanding as well as with respect to the computer resources needed to resolve the underlying mathematical equations. The task becomes even more demanding nowadays, since the need for more detailed information is constantly increasing, putting a pressure on the modellers to go to higher resolutions. Representing air pollution concentrations on a domain of 1 km grid resolution covering several regions or countries is more and more becoming the standard. Linking large scale air quality processes to the evaluation and prediction of air quality in cities and streets where people actually live is even a further challenge. It is clear that a better understanding of the mathematical principles and numerical methods to make these complex models more efficient in using computational resources is a necessary but challenging task. I wish to congratulate the editors of this eBook, Zahari Zlatev, István Faragó and Ágnes Havasi, in providing these insights by collecting the relevant expert contributions of renown specialists in the field. Their contributions are based on sound expertise and experience and form a well balanced mix of theoretical insights and practical applications that go beyond state-of-the-art in environmental modeling in general and air quality modeling in particular. High air pollution levels can cause damages to plants, animals and human beings. Therefore, it is necessary to keep them under some prescribed safe limits, which are established by different authorities. This is very challenging, but important for the modern society problem. Advanced mathematical models are one of the major tools, perhaps the most important one, which can be used to deal successfully with this important task. These models are normally described mathematically by systems of partial differential equations and have to be treated numerically on big modern computers. The solution of these four tasks is handled in many of the chapters of the eBook and different devices for achieving efficiency are proposed. 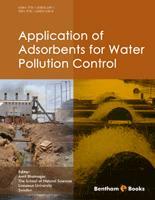 prepare air pollution forecasts, is also discussed in many chapters of the eBook. The above short description of the scope of the eBook shows very clearly that it can be useful for many different specialists interested in developing and application of large-scale air pollution models. Since the ideas are very general (systems of partial differential equations do appear in many fields of science and engineering), the eBook can also be used by specialists working in some related areas.